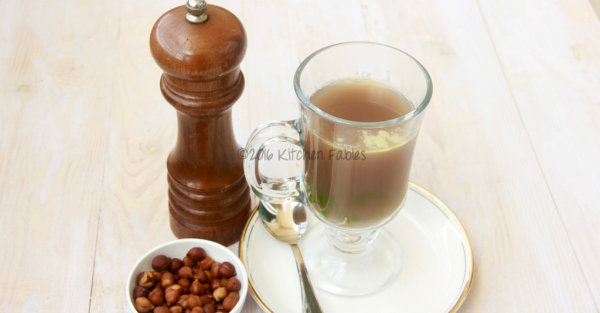 Brown Chickpeas Soup or Kala Chana Soup is a very nutritious soup that can be made with very less effort. This soup is very effective against cold and for making your bones stronger. Kala Chana is a good source of Protein , Dietary Fibre, Vitamin C, Iron and Calcium. 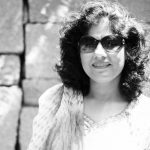 In Banglore, for the past few days, evenings are really cold. The brown chickepeas soup is an excellent way to avoid the sniffles that many catch at this time. It is light and helps clear throat congestion. This recipe was first given to me on suggestion by a senior ENT specialist who is also a relative of mine as I used to regularly catch a cold. Kala chana is good also for bones. In my younger days I have had my share of adventure, resulting in injuries and fractures. 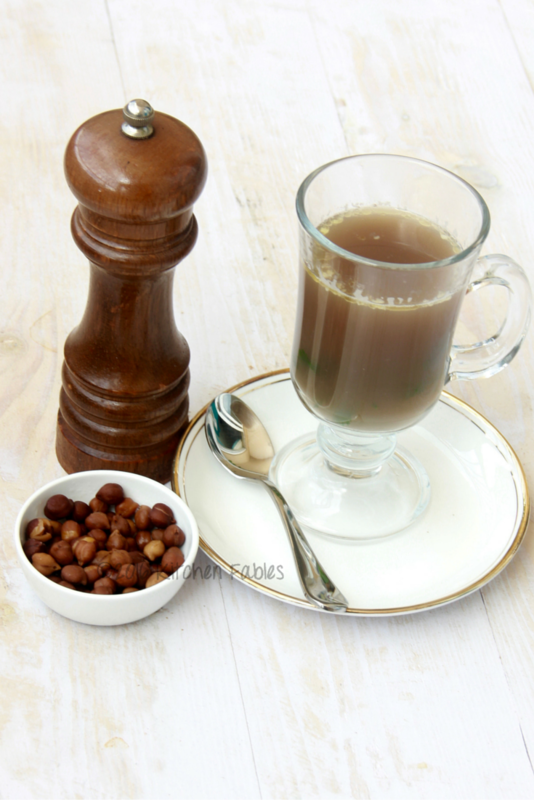 When recovering, to ensure that I got the nutrition I required while not gaining too much weight, my mother used to give me kala chana soup to drink and a small bowl of chana to eat. Food with medicinal properties need not be bland and boring. It can be made interesting and tasty by adding the right flavours. 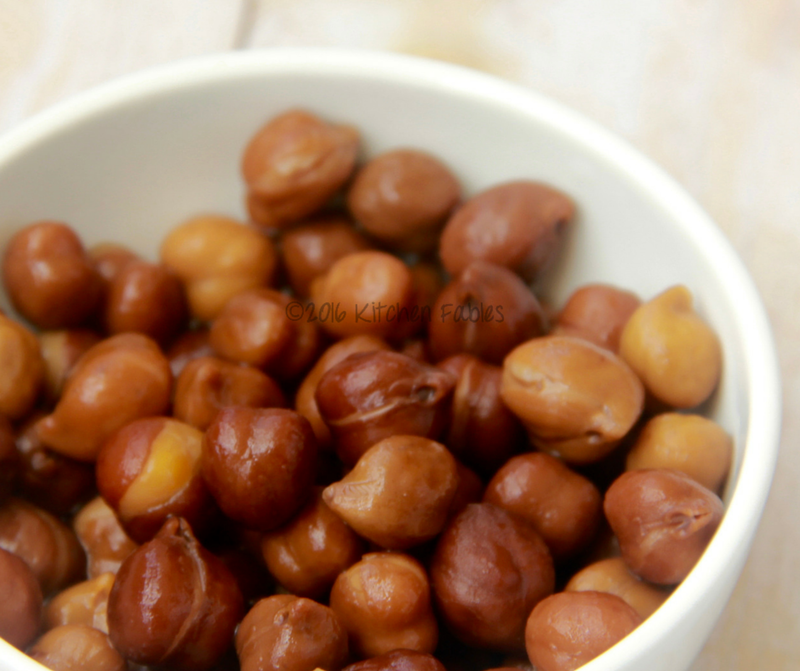 Wash and soak kala chana for a minimum of 6 hours or overnight. In a pressure cooker put the soaked chickpeas, Bay leaf, black pepper, ginger and salt and pressure cook . After the first whistle lower the flame and wait for another 3-4 whistles and then switch off the flame. 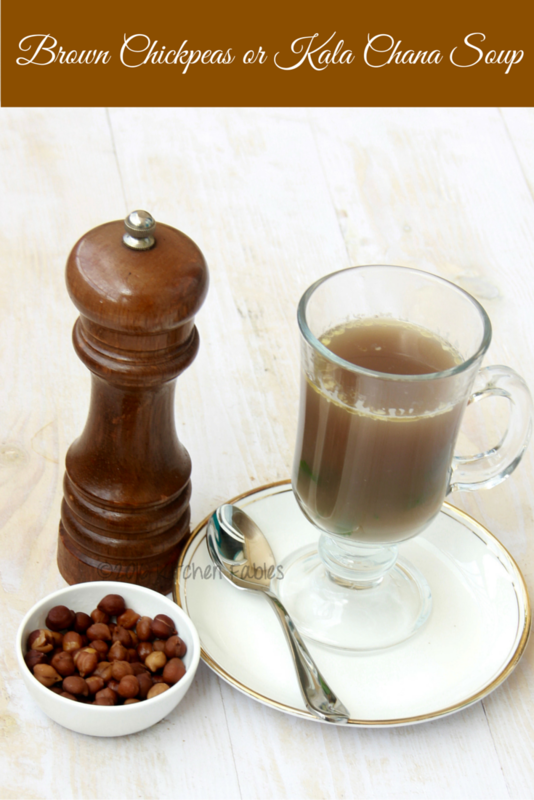 Once the steam has been released drain out the boiled chana separately and boil the clear soup. Add butter, lemon , crushed pepper and fresh coriander and serve piping hot.